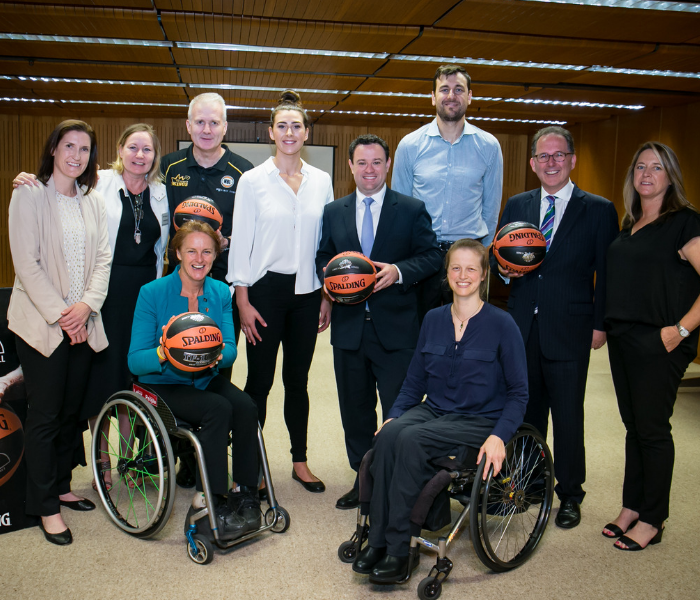 The Inaugural Parliamentary Friends of Basketball was held at Macquarie Street’s Parliament house on Wednesday morning in order to recognise and celebrate the success of both the men’s and women’s basketball in NSW. The exclusive function led by Basketball New South Wales, CEO, Maria Nordstrom, was formed to also to unite members of Parliament to thank them for their continued support for basketball in NSW in the aims of growing the game across the state. Both the Sydney Uni Flames and Sydney Kings attended the event with Alex Bunton, Belinda Snell, Sarah Stewart, Cheryl Chambers, Andrew Gaze, Kevin Lisch and Andrew Bogut proving to be the highlight of the event answering questions on a panel discussion posed by Member for Ku-ring-gai Mr Alister Henskens, SC MP as well as posing for pictures. Basketball New South Wales, CEO, Maria Nordstrom said she was pleased with the magnitude of the occasion and hopes that this will be the first step of many to grow and develop the game and facilities across the state with the support from Parliament. “It was amazing to come to Parliament House and have a BBQ with the Parliamentary Friends of Basketball,” said Nordstrom. Special thanks to the Basketball Australia, Sydney Kings & Sydney Uni Flames WNBL for joining us along with Minister for Sport, The Hon. Stuart Laurence Ayres MP and all distinguished guests for their attendance. Parliament House, Sydney, NSW, Australia | October 17, 2018.